As a celebration of failures, the Fail Festival looks at failures as a mark of leadership and innovation, risk-taking and pushing the boundaries of what is possible in scaling ideas from pilots to global programs. Last year at the Fail Fest, we presented our failures with the TechChange band. 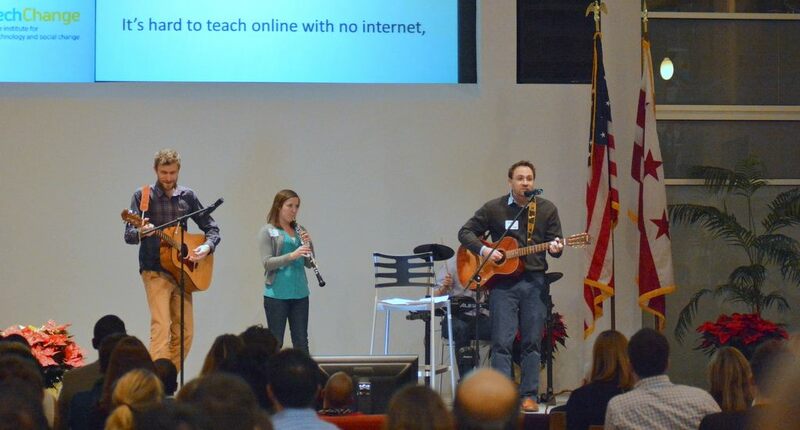 We had members across our team perform with vocals, guitar, drums, oboe, and – of course, PowerPoint. We celebrated our failures, from connectivity issues when doing online training sessions on Ebola to unanticipated challenges of moving into a new office. We are excited to share our experiences in providing interactive training for social change with all the hurdles that come with it. We had a blast celebrating our failures last year, and we hope to see you at the Fail Fest on Thursday!